If you are planning for visa stamping in Canada, you might wonder what you need to do step by step, how to plan for it, including hotel, Canada visa, travel, stay, etc.. Jose, one of our readers, has taken a lot of effort to document every step of his experience, so that many of our readers can benefit. Thanks a lot to Jose for taking the time and effort to share his experience with our readers, we really appreciate it. You can share yours too here. apply for a fresh L1B blanket using my companies approved L1 blanket petition. I chose option 2 and decided to try my luck with visa stamping in Canada (In fact, my company attorney advised me to go to Canada rather than applying for an I-94 extension as some folks were getting RFE from USCIS for I-94 extension during those days). The process is explained in detail below. Canada has always been a popular destination for L1 and H1 visa stamping for people who are already working in USA (other than stamping in their home country). There are 7 US consulates across Canada you could choose from: Toronto, Ottawa, Montreal, Quebec City, Halifax, Calgary and Vancouver. For folks in the North East of US, Toronto and Ottawa are the 2 frequently selected consulates for visa stamping and Vancouver for people in West coast. I had been to Ottawa US consulate twice for L1B blanket visa stamping and it was a good experience on both occasions. I would say choose Ottawa over Toronto if you are in the east coast. Note: – This is purely based on my personal experience and the information shared by my friends/colleagues. In my case, I was applying for a new L1 Blanket Visa Stamping using my company’s already approved I-797 blanket approval notice. Even though you will get a new visa for 5 years, the PED (petition expiry date), will be your remaining time in the L1 Max out, i.e. 5 years. And the same PED will be your I-94 expiry date. But if you apply for I-94 extension through USCIS for your L1B individual, and if it is approved, and then you will still need to go for stamping, it will be still L1B individual (after you travel outside US). Not Blanket. Follow the below steps to get your visa stamping in Canada from getting visitor visa to getting stamping. You need to get this done in the first place before you can travel to Canada for your visa stamping. It is always good to plan in advance. 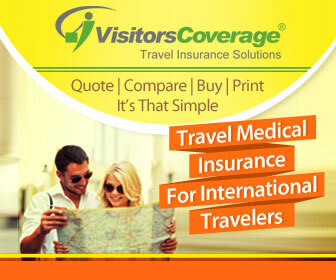 It will take around 1.5 to 2 months (average) to get your Canada visitor visa from US. You can check the current processing times here – Check Visa Processing times , I got the visitor visa done for myself and my spouse 3 months before our travel date. If you are applying in summer, it is better to plan this in advance as there will be more people travelling from US to Canada. You will have to fill up the application form online, pay the fees and wait for your approval by email. Once approved, you are required to send your passport to the nearest Canada consulate to get the visa stamped. Fill the DS-160 form online here. ( Check DS-160 form filling tips ) For travel details, you can provide a tentative date with address of any hotel near the US consulate which you selected. Select the US consulate which is near to you. In my case, I selected Ottawa consulate. You will have to fill the DS-160 for your dependents also. To schedule a visa interview, go to Canada US Visa Appointment System, and provide the required information along with DS-160 application number. The wait times for visa appointments in Toronto and Ottawa are usually high, so please plan accordingly. You can view the visa appointment wait times for different US consulates here. For me, the visa fees was paid by certified cheque and usually the company attorney provides this along with the necessary documentation package. This will be collected in a separate counter before you go to the counter for actual interview (this was the case in Ottawa, should be similar in other consulates as well). You will get the option to choose the passport pick up (after interview) method while booking the appointment. You can choose a Canada post location which is near to the hotel where you will be staying. For more information on passport pickup in Canada after visa stamping, please check Visa Document Courier Services. Copy of I-797 Approval Notice (current and previous), if applicable. Form I-129S, Nonimmigrant Petition Based on Blanket L1 Petition (3 copies) – this will be provided by the Company Attorney. DS-160 Nonimmigrant Visa Application Form for each applicant – Please be sure to carry copies of the DS-160 Application form confirmation page printouts with you to the appointment as entry to the US Embassy will not be granted without these pages. Original Passports. Please ensure that you have empty pages available in your passport for visa issuance as the US consulate will not issue the new visa over an old visa. Also, please ensure that the passport has not been compromised, mutilated or in any way altered since the day of issuance as this may result in the US Consulate refusing issuance of the visa. Previous passports containing previous US visas, if applicable. Proof of maintenance of status in U.S. since arrival e.g. original I-20, original EAD card, Previous I-94’s, if applicable. Copies of three most recent pay stubs. Book your hotel & flight tickets well advance once you confirm the visa interview date so that you will save some money. Book a hotel which is within 10-15 minutes (by car) from the US consulate. In Ottawa, I had stayed in ByWard Blue Inn – 5 minutes’ walk from consulate – and Hampton Inn (the 2nd one is a little far when compared to the first one) during my 2 trips for visa stamping. As I was in the Tri-state area at that time, I travelled to Ottawa by a rental car (I was reluctant to take my own car as I didn’t want to take any chances in case if I face the worst case scenario – i.e. visa rejection). If you are driving in winter, please make sure that you plan your drive according to the weather. During this particular road trip – close to 500 miles – (in December), there was a snow storm and I had to travel one day earlier to avoid hitting the storm. For people with kids, I would recommend travelling by Flight as it is more comfortable and book a hotel which is very near to the US consulate. And on the visa interview day, remember to travel by taxi or public transport and leave the car at the hotel, as the consulate security will not allow you to take even the car keys inside. My L1B Blanket visa interview experience in a nutshell is given below. My interview was scheduled in Ottawa US consulate. I got in by 9:30 am, and interview was scheduled for 10:00 am, it was very short and lasted only 15 minutes. And I got out by 10:15 am. – Counter 1 – Pay the Visa fees, Counter 6 /7 – Verify DS 160, Photos and take finger prints. – Counter 2, 3 – Interview with Visa Officer, I went to counter 2. What’s your designation and describe your work/project? What is your specialized skill (for L1B)? How many people you will be managing (for L1A)? For how long you will be working in US? Are you working at client’s site? Questions around your Client Company and project. Are you going to work in your client’s office? What do you do (Role & responsibilities)? Were you in US before? What did you study (Subject)? At the end of interview, Visa Officer will inform you if your visa was approved or not. If it was approved, you can track your passport status using your account in Visa Appointment Service website. You will also receive an e-mail notification once your passport is ready for pick up. You will need a Government issued identification to pick up the passport – you can use your US Driver’s license for this. Please note that this is normally a three to four business day process. However, this can take up to 5 business days in certain cases. If this is the case, you will be required to remain in Canada for an additional 2-3 business days. Please remember to choose a flight which starts after 6:00 p.m. on the day when you pick up the passport from Canada post location. If you are travelling by car to Canada, then this should not be a problem for you. Applicant should be aware that when they travel to Canada, they should have a copy of the US consulate appointment letter with them and available for presentation. On occasion, Canadian immigration officials request to see this letter. Please make sure that you are not taking any bags or electronic items such as cell phones, pagers, palm pilots, computers, calculators or cameras as they are not allowed to enter the consulate with these items. Please ensure that if you have any dependents who will be accompanying you to the appointment, they must have Canadian entry stamps in their passports as well. Applicants are also advised to dress in warm clothing as they may be required to line up outside of the embassy. Be prepared for the worst case scenario (very less chance I would say) also – usually Visa officer will put a stamp “Cancelled without a prejudice” before approving or rejecting your new visa application. So if your visa is rejected in the US consulate in Canada, you cannot go back to US and you need to travel back to your home country. So, yes there is an element of risk associated with Canada visa stamping. But I think it is a good option. You can plan to visit some places nearby while you are waiting for your passport after the visa interview, especially if it is during summer months. (I had to stay in the hotel for few days as I went there in winter). For people going to Toronto / Ottawa for visa stamping, you can plan a trip to Niagara Falls and it is definitely worth a visit if you have time (make sure that you don’t cross to USA accidentally before you get your passport J ). Generally speaking, Niagara Falls, Ontario is a more popular destination than Niagara Falls, NY, in part due to the better view of the falls from the Canadian side of the river. In Ottawa, I went to see the Parliament Hill and Notre Dame Basilica. You can also check out Rideau Canal, Canadian War Museum, Byward Market etc. Good luck with your Visa stamping in Canada. If you have any questions regarding this process, please let me know in the comments. So, If you’re going for L1 visa extension before current L1 expiration and your extension gets rejected, can you still come back to US without any issues because your current visa is still valid? The visa officer may cancel your existing visa during the visa interview process, you may not able to come back to US using your old visa, again this depends on the discretion of the individual visa officer. I have heard very less cases of visa rejection of visa rejection, but yes there is a possibility, so you have to take that risk into account when you go to Canada from US for visa stamping. Or you may get a 221g (requiring additional information), in that case you have to stay in Canada till your case is adjudicated. In case of rejection – I heard there is a option to request/mention(may be a sticky) VO not to cancel current visa so that they avoid it. Is it not the case? Is there a preference between Ottawa Vs Toronto? Please let me know.